Paul Wheelhouse acknowledged that failing to secure backing from Westminster would make the construction of an ultra-deep-water port at Dales Voe in Lerwick “more challenging and difficult”. But Mr Wheelhouse said he hoped UK ministers would support the £30-£40 million infrastructure upgrade, which could benefit large sections of the oil and gas industry’s supply chain. 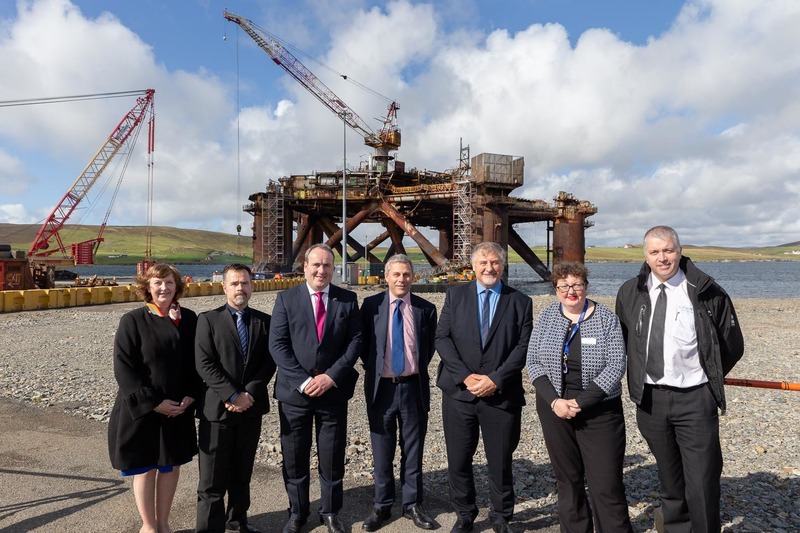 A feasibility study commissioned by the Scottish Government showed Dales Voe was the best place in the UK to build an ultra-deep-water port for scrapping large installations. But it remains to be seen whether UK ministers will support the scheme. The UK Government has ordered a separate assessment of UK harbours, which is expected to conclude in the fourth quarter of the year. Asked whether the Dales Voe project could proceed without support from UK ministers, Mr Wheelhouse said: “In theory, yes. But we very much want the UK Government to be part of it. Mr Wheelhouse said the Scottish Government had not put an “upper or lower limit” on the amount of cash it would be prepared to stump up. Lerwick Port Authority chief executive Sandra Laurenson said her organisation would not be able to foot the bill alone. She added that the next step was to draw up a detailed business plan explaining how the project can be delivered.